When Haresh Mehta immigrated to Canada more than four decades ago, little did he know that his life would span out in service of humanity. He has an awesome acumen for entrepreneurship, abiding passion for community development, visionary zeal for philanthropy and dedication to foster Canada India ties. 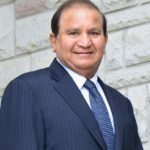 His entrepreneurial journey started in the early 1970s, and since then, he has launched several successful businesses. His community development work is an adroit mix of public life and philanthropy. He has been active in the Liberal Party of Canada and Sanatan Mandir Cultural Centre. His purpose is to foster better understanding between the Indo-Canadian community and the mainstream. Haresh’s community-based work in India includes a family trust established in 1986 in Dungar village in Gujarat to assist impoverished people with cataracts and eye disorders. Over 5,000 cataract surgeries have been performed and over 15,000 patients have been examined. A walk-in medical clinic served over 10,000 patients with free medicine. Many families in the village receive annual grocery supplies and students receive scholarship. He built a high school under his father’s name in Dungar in 2011, which provides educational facilities to 800 students annually. He donated four water filtration plants to four schools ensuring clean drinking water to over 1,700 schoolchildren. He also donated 40 computers and started computer lab for high school students. Haresh is CEO and President of Eximcan Canada. His businesses provide employment to over 350 people in Canada, USA and India. He holds a Bachelor’s in Marketing from St. Joseph University, Philadelphia, USA.